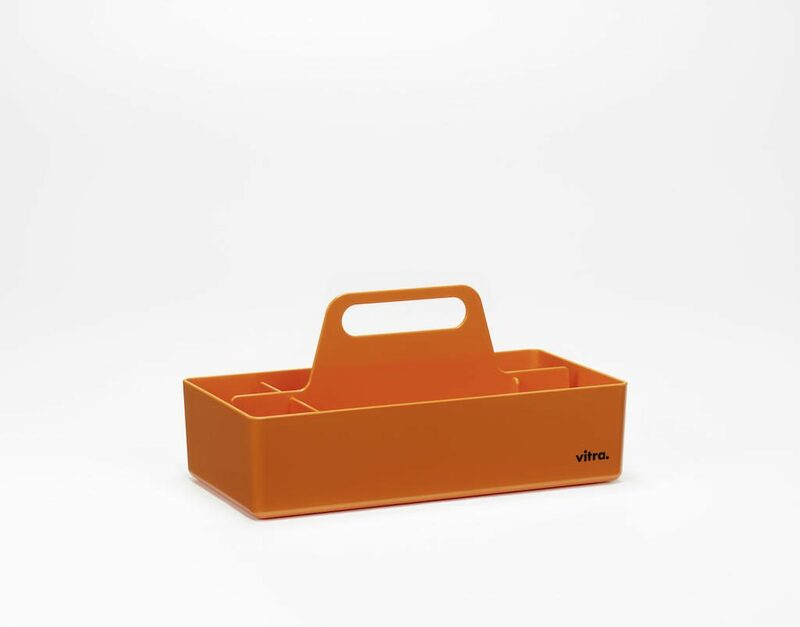 Among the new products presented by Vitra at Maison & Objet in September 2018 in Paris, a colour update for Toolbox designed by Arik Levy in 2010. 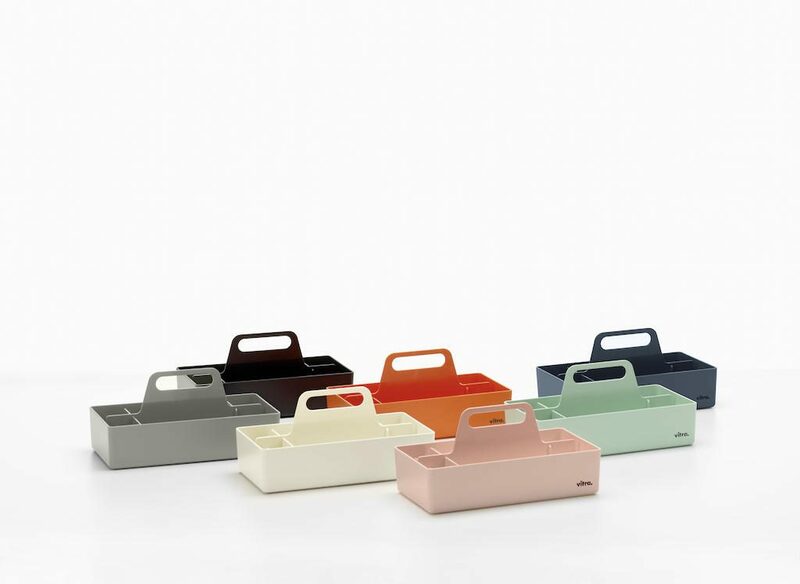 Toolbox is a practical storage container with a handle for use in the home and office. Designed with functional compartments, it is perfect for organising all sorts of items, such as accessories, make-up, kitchen utensils, medication, work materials and writing paraphernalia etc. 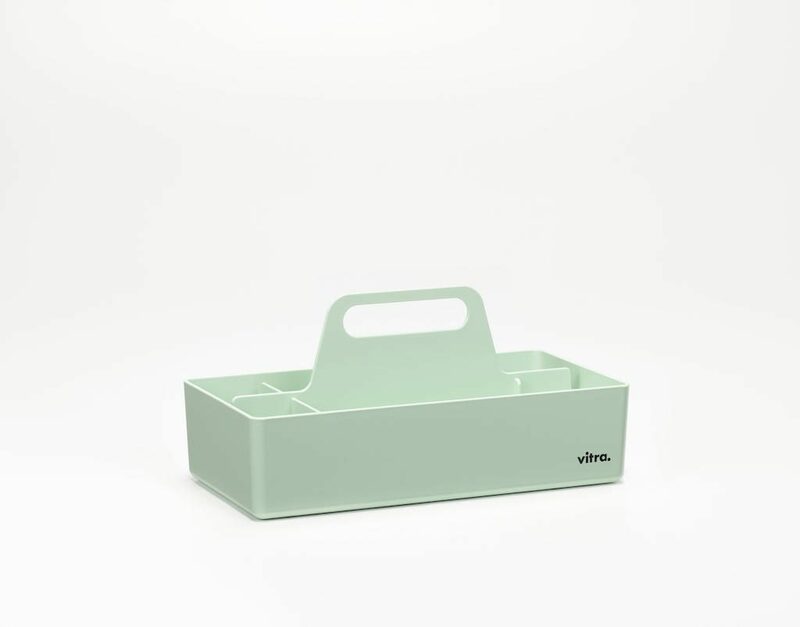 As part of Vitra Accessories Collection, made of robust plastic, Toolbox is now available in an updated palette of colours: Pale Rose, Tangerine, Sea Blue, Mint Green, Moss Grey e White.